For the first time a detailed finding aid to the content of the Irish Huguenot Archive is now available online. In 1993, the Huguenot Society of Great Britain and Ireland entered into an agreement with the Representative Church Body to allow the RCB Library to host what was to be called the Irish Huguenot Archive. It was hoped that this new entity would develop as a centre for Huguenot studies in Ireland and so serve a similar purpose to the Huguenot Library in London. The initiative was overseen by the former Librarian and Archivist of the RCB Library, Dr Raymond Refaussé, who became the Archive’s first curator, and although now retired, has written the introductory text that accompanies this latest online exhibition which is illustrated with examples from the collection. 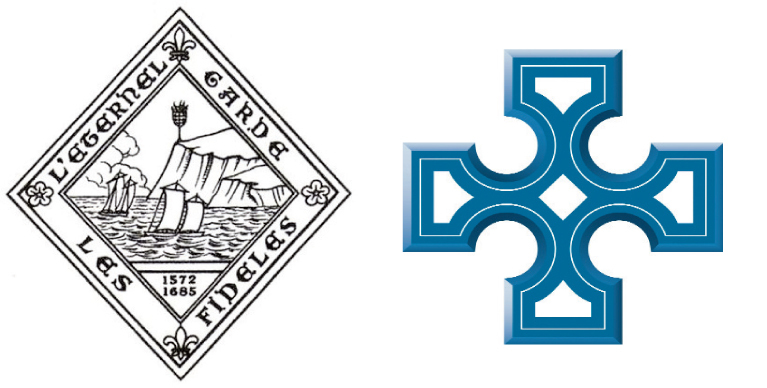 Many of the Huguenot refugees to Ireland had, eventually, conformed to the discipline of the Church of Ireland. Whilst for a period, they continued to hold their services in French, this practice in time died out and they were absorbed into the mainstream of the Church of Ireland, being distinguished only by their names and their history. Thus even before the creation of an official archive the RCB Library had already been a place of resort for those interested in Huguenot families. The unrivalled collection of registers of baptisms, marriages and burials (the list is accessible at http://bit.ly/2Emf6JW) contains many entries with Huguenot names while its considerable collection of parish histories, many with small and limited circulations, included references to Huguenot families who had settled in various parts of Ireland. The Library also had some existing Huguenot material in its manuscripts collection. This included the papers of JJ Digges La Touche, who had been Deputy Keeper of the Public Records of Ireland. He was a descendent of one of the more considerable French families to settle in Ireland and copied the minute book from the French Church of St Mary in Dublin, for the years 1706-17. In addition, he took notes on the Dublin banking firm of David La Touche and a copy of the La Touche genealogy. With such materials already in its custody, it made sense for the Church’s record repository and reference library to become the permanent home of the materials pertaining to the Huguenot community. With the inauguration of the Irish Huguenot Archive in 1993, the RCB Library has been the primary beneficiary. Many of the accessions have been random in the sense that people have decided, for reasons of their own rather than having been targeted, to present material. In saying that Annette Camier, during her period as Honorary Secretary of the Irish Section, was a powerful advocate for the fledgling collection. Among the manuscript collections are papers of the Hautenville family and related families of Rambaut and Cope; papers of Grace Lawless Lee relating to her researches for her seminal book Huguenot settlements in Ireland (London, 1936), generously donated by her son Dr Robin Gwynn from New Zealand; and letters from TP Le Fanu to Albert Carré relating to his book, L’influence des Huguenots Francais en Irelande … (Paris, 1937). Especially useful are the results of research by many genealogists and historians which have illuminated the lineages of families such as Cassan, d’Arabin, De Brecquet, Gaussen, Fleury, La Naze, Le Bas, Robinette, and Saurin. Most valuable are the Huguenot Society’s publications – the many short articles which have been published in the Proceedings of the Huguenot Society of Great Britain and Ireland (now titled The Huguenot Society Journal) and the more substantial publications which have appeared as parts of the Quarto Series. Scholars and researchers have furthermore been generous in presenting off-prints of articles, some published privately or in local journals, such as the many contributions to the history of the Huguenots in Portarlington by John Stocks Powell. The recent decision of the Irish Section to give an annual purchase grant has ensured that new books can be regularly added to the collection. 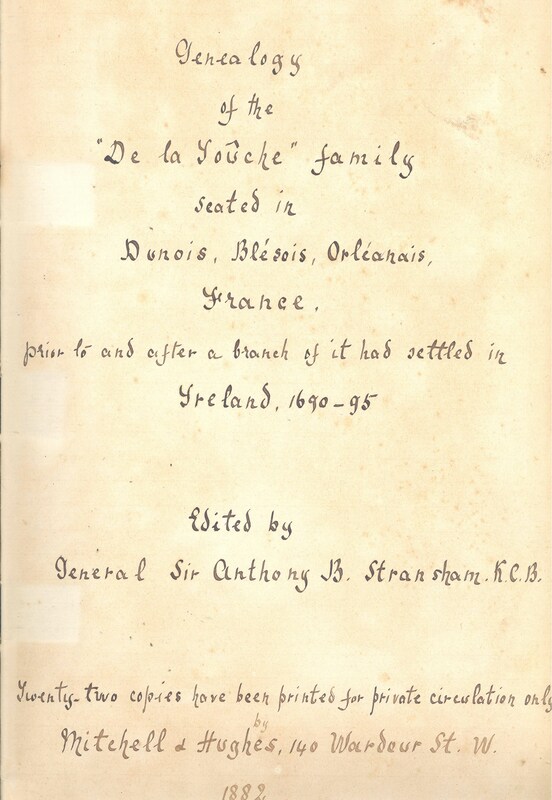 The Irish Huguenot Archive has grown largely due to the generosity of those who have been involved in or who have been interested in the history of the Huguenot refuge in Ireland, and as it has grown, so too has its usefulness. The current Curator of the Irish Huguenot Archive, Dr Susan Hood, will always be glad hear of prospective donations.